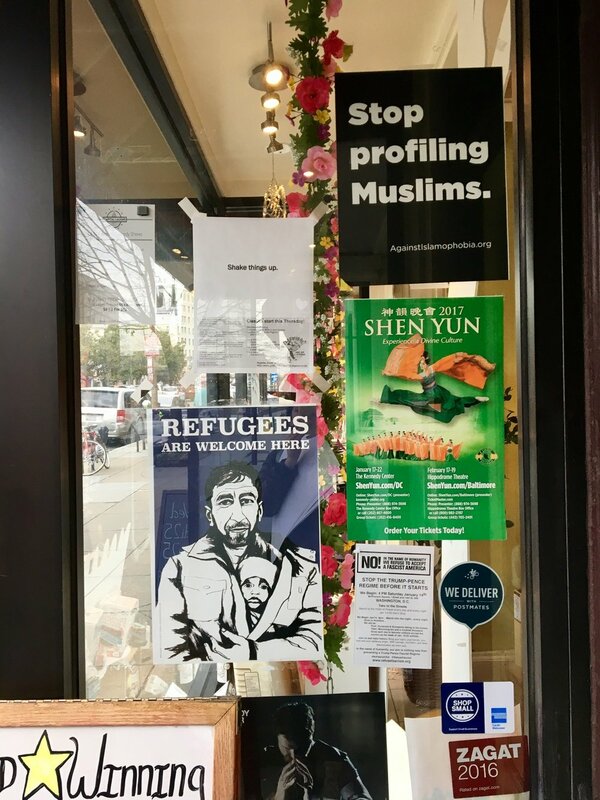 Starting in February, JVP - DC Metro began a canvassing campaign around the city to distribute and publicly display posters containing messages of solidarity with immigrants, Muslims, and refugees. So far, we have put our posters in over 100 businesses from Dupont Circle to Petworth to Capitol Hill. This campaign serves to indicate to residents, politicians, visitors, and workers that all people are welcome in DC and that the city should be designated as a safe space - a sanctuary - for any and all vulnerable communities.